Our final C is often the first thing that is thought about when looking at purchasing any form of diamond... Cost. Across the various specifications for diamonds you will see that there are ways in which you can get the best value for your budget. You need not get the highest quality to get something that is equally as beautiful for your desired diamond. Understanding the factors that influence price and what they are in reality is essential and allows you to make the best informed decision about what criteria offer the right compromise for your budget, setting your own personal levels of compromise within the scales. While the choice of diamonds may at first glance appear overwhelming and while there are many more specifications that can be taken into account the choices needn't be perplexing – and remember, ultimately, you're buying something that is a great vessel of value, and can be passed along for many generations. 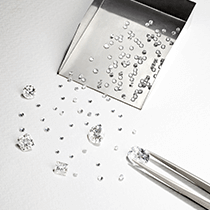 Carat weight is one of the fundamental factors in determining the price of a diamond. As a general rule, the heavier the diamond, that is, the larger the carat weight, the more expensive it becomes. 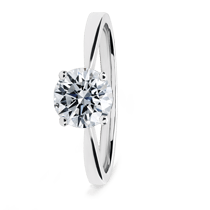 Price per carat is one of the best ways to compare the cost of similardiamonds. To calculate this, simply divide the cost of each stone by its carat weight. Because they are more scarce, larger diamonds are in much higher demand than smaller stones and therefore command much higher prices per carat. A diamond that is double the size of another can be up to four times the price. For example, a one carat diamond solitaire ring is nearly always more expensive than a diamond ring made up of smaller multiple diamonds whose total weight is one carat. 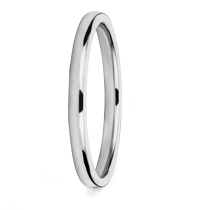 Diamonds are usually cut to a rounded number in their carat weight, for example 0.70ct or 1.00 carat, rather than 0.69 or 0.99. Because of this, diamonds weighing just under the weight ‘barrier’ (e.g. 0.68ct or 0.69ct. ), are scarce but highly recommended as they cost less than diamonds whose weight has been rounded up. Similarly, diamonds whose weight slightly exceed the barrier are referred to as “oversized” and also offer great value for money as they have not been rounded up.